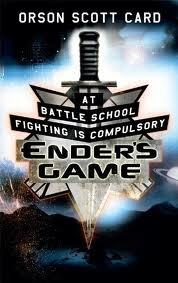 Editorial: Is Ender’s Game a YA novel? Although I have personally never considered Ender’s Game a YA (young adult) novel, having read many of the books on the list, it’s interesting that The Hunger Games (series), The Lord of The Rings and Twilight (series) make the list after this exclusion. Make of this what you will. So with no objective test they employed judges to cast the specter of their (less than objective) opinion on the matter. I kept looking and you wouldn’t believe it but I think I found an objective definition of what YA fiction is. I know it isn’t really the kind of place anyone looks for such definitions but it’s good old Wikipedia to the rescue, read the full entry here but I’ll just quote the first line. “Young-adult fiction or young adult literature (often abbreviated as YA), also juvenile fiction, is fiction written, published, or marketed to adolescents and young adults.” I’m not sure how hard NPR looked, but I’d suggest next time they try Wikipedia. So using the above definition of YA fiction, does Ender’s Game qualify? The criteria are – written for, published, or marketed to young adults. Ender’s Game was not written for young adults, in the Introduction to Ender’s Shadow, Orson Scott Card writes ” For many years, I have gratefully watched as Ender’s Game has grown in popularity, especially among school-age readers. Though it was never intended as a young-adult novel, it has been embraced by many in that age group…” As Mr. Card says it wasn’t written as a YA novel so we can say no on the first criteria. We can take the second and third criteria and look at them together. At the top of this post is the current cover on copies of Ender’s Game for sale in the UK, and it looks a lot like a YA cover to me. Also it is tagged as YA on Amazon.co.uk and Amazon.com, so that is a yes on the last criteria. The point being, Ender’s Game wasn’t written as YA fiction, but it can be categorized as such, and I think that considering the books that make the grade, it is plain wrong for NPR to claim Ender’s Game is too violent to be placed in the poll. Have you read The Hunger Games? What do you think?